Home > 2017 > League > SUPER 2 > SUPER 2 Season 8 Registration NOW ON! 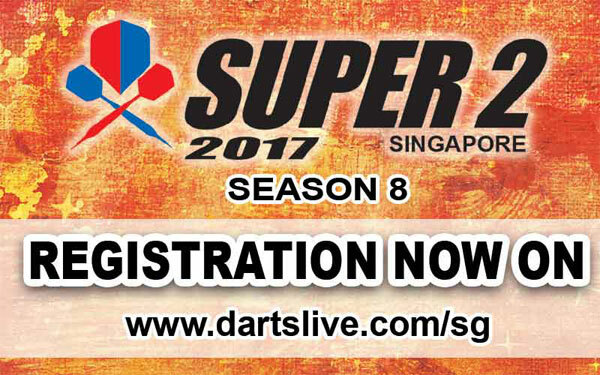 SUPER 2 Season 8 Registration NOW ON! SUPER 2 Season 8 is now open for registration. All teams who submitted entry before 20 April 2017 will get a $10-value DARTSLIVE Live Credit Card.